The governments of the Middle East and North African countries being engulfed by a wave of protests are resorting to force. 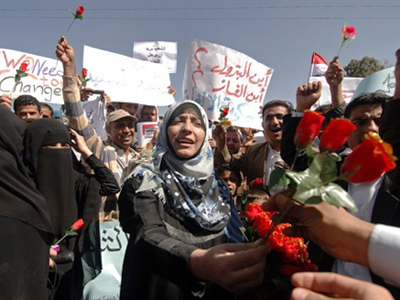 Clashes continue across Yemen in what is now the eighth day of protests. Demonstrators have been using social networking websites to call for as many people as possible to hit the streets on what has been dubbed "Friday of Rage". In Libya, at least 24 people have been killed, as police are reported to have used firearms in various cities. In Bahrain, mourners chanted anti-government slogans after security forces dispersed thousands of rioters in the center of the capital, Manama. At least five were killed and about 230 injured in clashes, the Associated Press reports. Clashes also erupted in the Jordanian capital of Amman, where anti-government demonstrators called for reforms and the abrogation of the peace treaty with Israel. “The unifying factor is that all of them have had enough of tyranny, enough of dictatorship, enough of subservience to the West. “The governments there have all been so subservient to the West that this goes against the will of the people of that region, not because there is any particular alienation, except that, generally speaking, the national interests of the West are contradictory to the national interests of the peoples of the region,” Sabah al-Mukhtar continued. ­Mubarak’s out. The army’s in. Who’s next? On Friday, Tahrir Square in Cairo has once again filled with people. 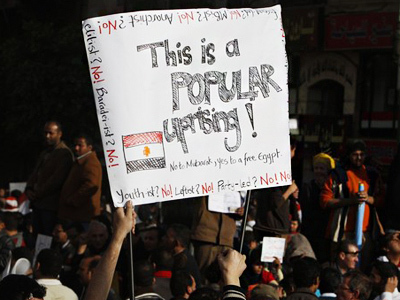 Tens of thousands are celebrating a week since Hosni Mubarak bowed to the huge pressure to step down as president. 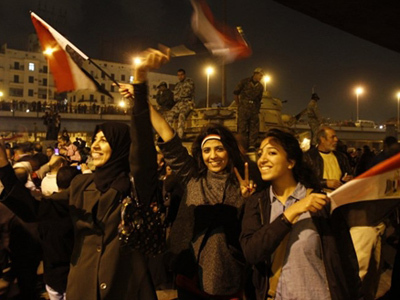 In Egypt, where the military has temporarily replaced the government, strikes are gaining force. says Middle East analyst Neil Lazarus. It is nearly a week since Egyptian generals promised to lift a 30-year state of emergency. But there is still no sign of when that will be. “The army knows its limitation. When the decision was taken not to open fire, not to do any slaughter within their own people, they lost the ability to be the next controllers of Egypt,” believes Major General Yaakov Amidror from the Israel Defense Forces. But they do want to be the controllers of the peace. 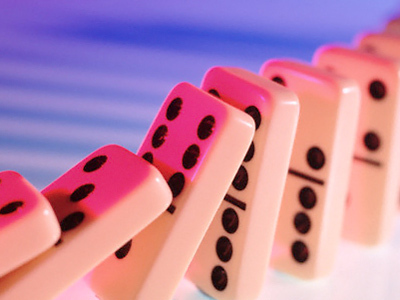 And therefore the army, if it wants, can keep the state of emergency in place for as long as it says it is necessary. But not everyone thinks the army’s intentions are noble. Finian Cunningham is a Middle East analyst in Bahrain where the internet and other visual communications have been cut by the authorities. 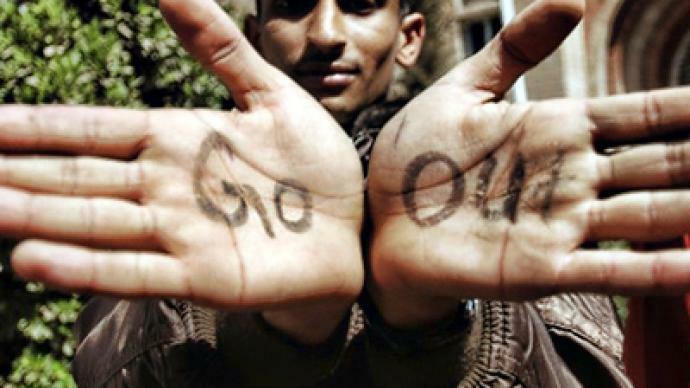 Mamoun Siam is a photographer who could not wait to capture Egypt’s revolution on film. But he was stopped at the border by Egyptian soldiers. So just how different is Egypt today under the generals, from the Egypt of yesterday under Mubarak? “The state of emergency was and is a central component of the governing apparatus, whether that apparatus is headed by a figure like former president Hosni Mubarak, his successor Omar Suleiman or a clique of generals,” Finian Cunningham says. And for as long as a state of emergency remains in place, the hopes that brought millions of Egyptians to the streets remain up in the air. But Egypt is not the only country in the Middle East that lives in a state of emergency. Across its border, in Israel, depending on who you talk to, there are also emergency laws. Middle East analyst Neil Lazarus says it is because of bad neighbors. “It is because we live in a bad neighborhood. They have the army in control, and in Israel we are a democracy, our elected politicians are in control,” he says. And Major General Yaakov Amidror says there is no state of emergency in Israel. “Israel is not in a state of emergency. Israel is living its usual life, no one moved from the center to the south or from the north to the center,” he says. But wherever it is, there is no denying that a country in a state of emergency is a country where democracy is ignored. And if in Egypt, the generals do not make clear signs to move toward democracy soon, many protestors might be wondering what exactly they were out on the streets for. Mahdi Darius Nazemroaya from the Center for Research on Globalization says that real change in the region will come only when constitutions are altered and elections take place. ­The most critical factor in the current political crises in the region has not yet come into play, says British author and journalist Anatol Lieven. 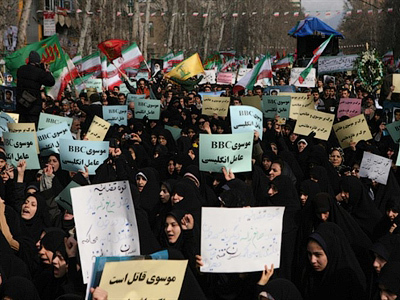 Lieven does not regard Iran as the next target of anti-government uprising. The Iranian regime cannot be compared to Mubarak’s open autocracy, he argues, as it is much more closed. On the other hand, the people’s representation in the current Iranian protests also remains unclear. “There are widespread suspicions that the [Iranian latest presidential] election was rigged, but a possibility remains that a majority actually voted for Ahmadinejad,” said Lieven. Whatever happens in Iran, it is not going to follow the pattern elsewhere in the Gulf region, he concluded. ­Middle East specialist James Denselow from King's College in London believes that it is a combination of factors common to all countries involved that ignited the protests in the region. “There are certain structural problems facing all those states – whether you talk about the state of their economy, the high rate of youth unemployment (24% across the region), the fact that the leaderships gave very little freedom and democratic choices to their people, the fact that the leaders had been in power for often decades,” he said. It all started with a young man who burned himself in protest against his government, “and the reverberations from what happened in Tunisia are now being felt in every single state,” Denselow said.